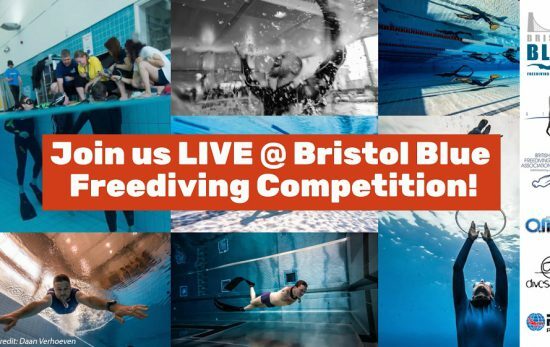 As the excitement built in the run up to the Bristol Blue Freediving Competition, PADI’s Kayleigh Relf took a moment to catch up with Andy Jardine: PADI Master Freediver Instructor, AIDA Judge and Instructor, and Captain/Coach of Team GB at the 2016 World Freediving Championships. 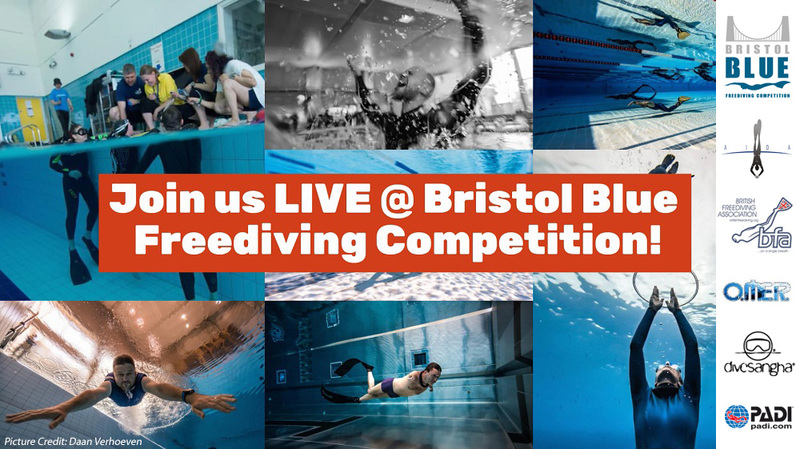 One of four judges at the event, Andy shares what freediving means to him, the challenges and favourite moments of his career, and advice to others hoping to follow the competitive freediving route. When people ask why I freedive I tell them it is the most relaxing part of my week. That usually gets a few funny looks but it is absolutely true. Freediving can be physical but is so much more a mental challenge and relaxation of the body and mind is central to it. While freediving provides that individual personal challenge it is also a very social activity and I have made a lot of friends through it. 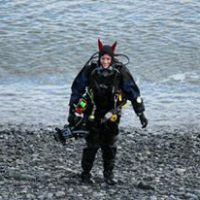 I started off as a PADI diver and went along to a local dive show. There were some guys there setting up a freedive club in Bristol and it sounded like fun so I signed up and went along. I have always been a bit of a water baby and would spend more time as a kid trying to sit on the bottom of the pool or swimming underwater than on the surface so it was something I was sure I would enjoy. That was back in 2010 and I haven’t looked back since. What are the biggest challenges you face when coaching a freediver for a competition? Every freediver is different but one of the most common challenges is to deal with their nerves. Nerves can really affect a performance by increasing heart rates, losing mental focus or feeling nauseous. When you get to the day of competition, all the training and preparation is done so my role as a coach really is to enable the athlete to produce their best performance, and helping with the nerves is part of that. 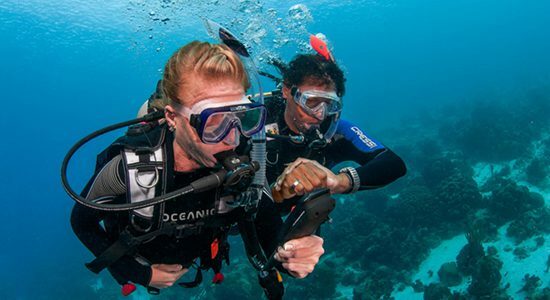 Knowing what works for them is key, some divers like a very structured preparation plan while others like to be left alone, stick their headphones on and try to visualise, relax or go into their own world. Some need encouragement and comfort, other you tell to “Man UP”! They all deal with it in different ways so you need to find out what works for them. What has been your favourite moment of your freediving career so far? My highlight would have to be Captain/Coach for Team GB at the Pool World Championships this year in Finland. It was such an honour to be selected, and pulling on the GB kit for the first time is something I will never forget. The Championships were a rollercoaster ride of emotions, as you go through the same highs and lows as each athletes but as Captain you feel it for each one of them. Team GB performed great with athletes making finals, picking up a silver medal, setting National Records and a whole bunch of personal best’s along the way so I was very proud to have been part of it. With so much information online, what would be your advice to people that want to try freediving? The best thing to do is to get yourself on a course with a qualified instructor. You can learn a lot online if you look in the right places but a qualified instructor will help you apply it properly and will take you through the best way to freedive safely and help you get in to the sport. 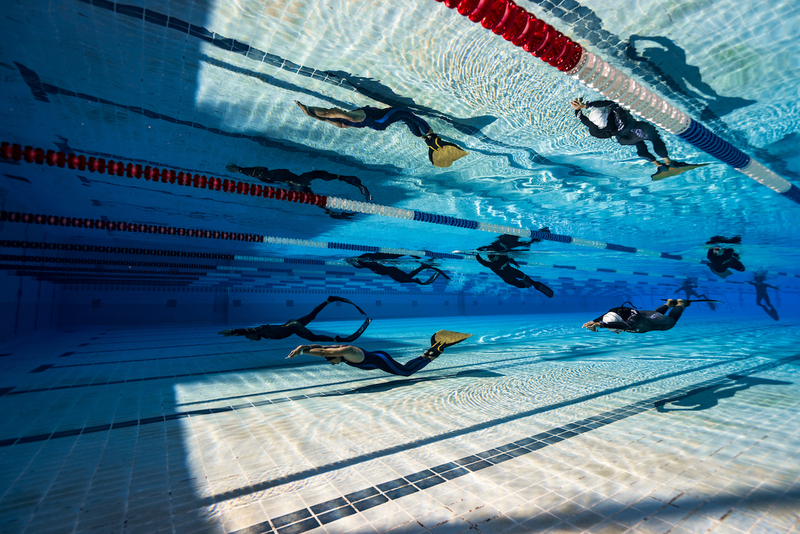 The golden rule is never to freedive alone so the clubs and instructors can also help you find a trained buddy to dive with. Finally, make sure that you progress in incremental steps – don’t try to push it too much too soon.